As many of you who follow me know I love small in the frame images. This one bordered on too small even for me but I figured what the hell, lets share it. 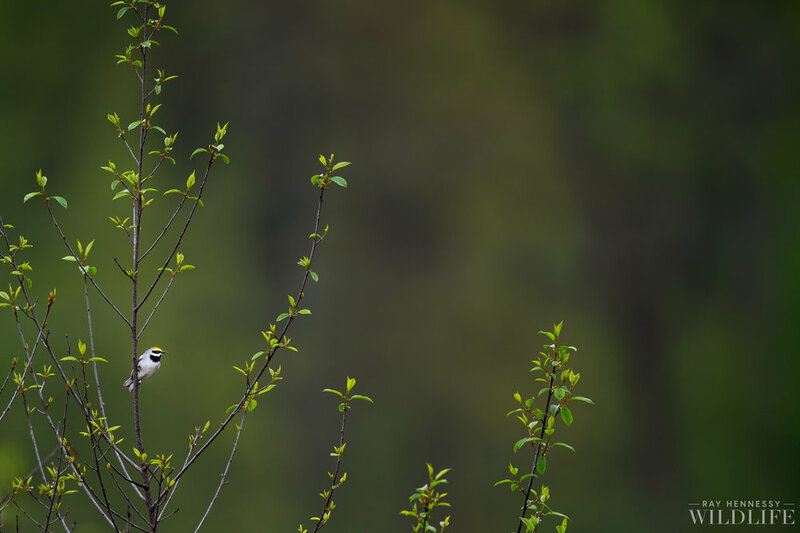 I actually think the bird stands out in this scene as it clings to the small open branch and I really like how the bright green leaves stand out from the very distant background. It does show plenty of habitat and I often found these birds up at the top of the tallest trees around singing their buzzy song. It was a special morning that I spent with these birds and if you might be interested in joining me for an incredible all day outing staring with this species check out my northern New Jersey tour.